Recommend us to a friend or family member and tell them to mention your name when they contact us. 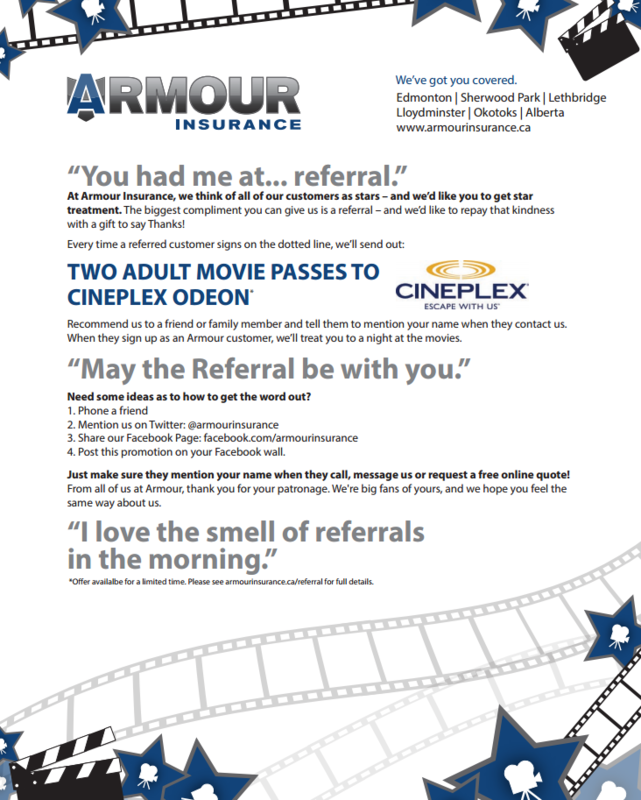 When they sign up as an Armour customer, we’ll treat you to a night at the movies. Need some ideas as to how to get the word out? People love complaining about their insurance. Next time you hear someone at work complaining about their insurance - tell them to give us a call. Just make sure they mention you when they call, message us or request a free online quote! From all of us at Armour, thank you for your business. We're big fans of yours, and we hope you feel the same way. Download full details for the referral program here. *Offer available for a limited time while supplies last.